Franchise Websites - What Makes them Unique? Franchise websites have unique components that differ from your usual business website. While the goal of most business websites is to build a brand, present products or services, and provide valuable information, franchise websites have additional components that set them apart. There are 2 main factors that differentiate a franchise website from other business websites. To do its job correctly, a good franchise website needs to promote the franchise brand while also promoting individual franchise locations. One of the biggest benefits of joining a franchise is the opportunity to be part of a well established brand. The company website should have a strong brand presence and do a good job of attracting customers. But one area that often gets little attention is the locations section. Locations pages or “franchisee micro websites” are a great way to attract search engine traffic from local customers and build a connection with the franchisees’ ideal customers. So what should be included on your local pages? In addition to the must haves like a location finder tool and basic information such as addresses, business hours, and contact information, having details about the owners, special events, community happenings and unique offerings adds a more personal touch. Having a local social media plan that integrates with the corporate social media program is also ideal to build the franchisee’s local following. With this in place, a live social feed with local posts can be displayed for each location. Another benefit of having several local pages is that they have the potential to get good results for local searches on the search engines. Google will not rank your regional franchisees’ businesses without a few pages of “meaty” content. This is one of the basic requirements of local search engine optimization. You can also boost search engine traffic to your local pages with tools such as online reviews, Google My Business pages, directory listings and more. Studies show that serious franchise prospects spend a great deal of time researching your franchise online before ever reaching out the sales team. 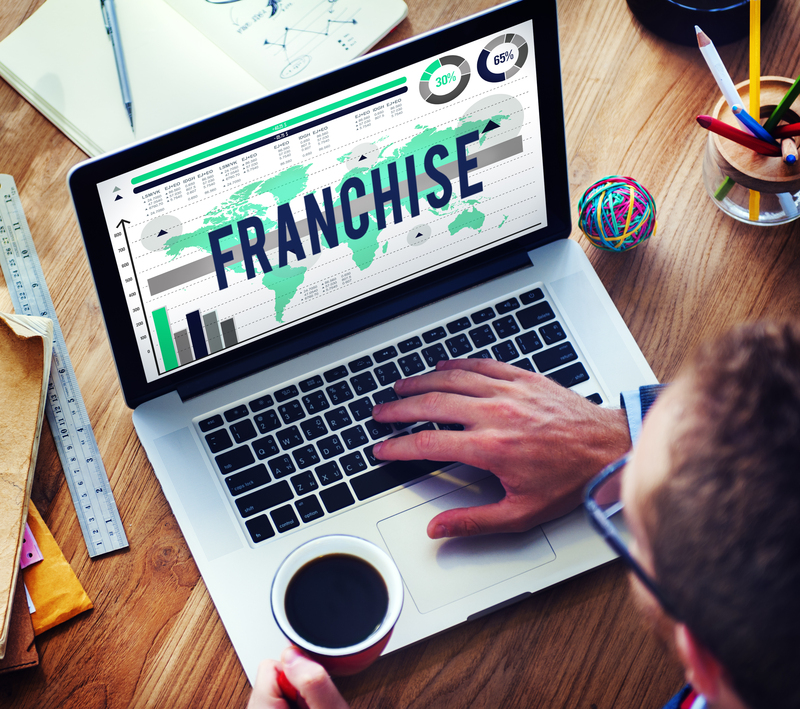 Your franchise opportunity website is one of the most important factors in terms of garnering interest from franchisee candidates. Your content should demonstrate why your franchise stands out from the many other opportunities that exist. It should also paint a picture of what the business is about so that you attract the RIGHT candidates. The opportunity – what is the franchise and what does it offer? Who is a good fit? Paint a picture of your ideal candidate or share a “day in the life” of one of your existing franchisees. Your management team. Franchisees want to know about your team’s experience and support. Case studies of successful franchisees. These can be in the form of a video or a written case study with photos of your happy franchisees at work. A welcoming franchise video with a message from head office and testimonials from happy franchisees. Basic information about investment requirements to set proper expectations. Regions you are currently accepting applications for, if applicable. A lead capture tool such as a “more information” online form, which captures your prospect’s contact info and sends a series of follow-up emails and invitations to contact your sales department. A webinar invitation. One way to give prospects a more personal “tour” of your franchise opportunity is with a webinar. Someone who is still in the early stages of researching opportunities is more likely to sign up for a webinar than contact you directly. A webinar gives your team the chance to present a polished presentation to several prospects at the same time and address any questions with a Q&A session at the end. In addition, you’ll get the chance to collect contact info of webinar attendees for follow-up. If you need help developing your franchise website, contact Sparktank Franchise Marketing today!